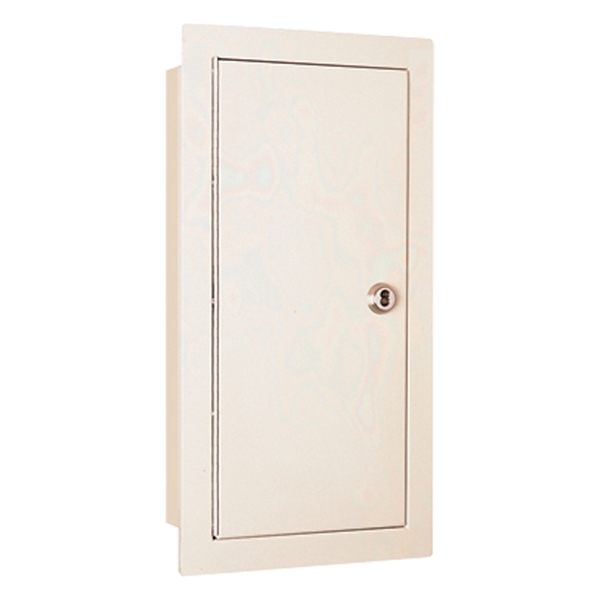 Babcock-Davis' Fire Extinguisher Detention Cabinet provides the specifier with the substantial unitized design of 12 gauge cold-rolled steel construction for maximum security facilities. All corners are mitered and ground smooth to eliminate any dangerous projections. 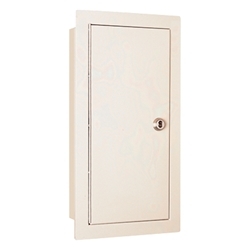 The heavy-duty continuous hinge adds to the secure features of this cabinet.